Description : Best4c (Best for chart) is a Web-based, online diagram tool that allows you to create, edit and share charts anytime, anywhere. Offers you a way to create and share charts online. No software installation. No downloads. 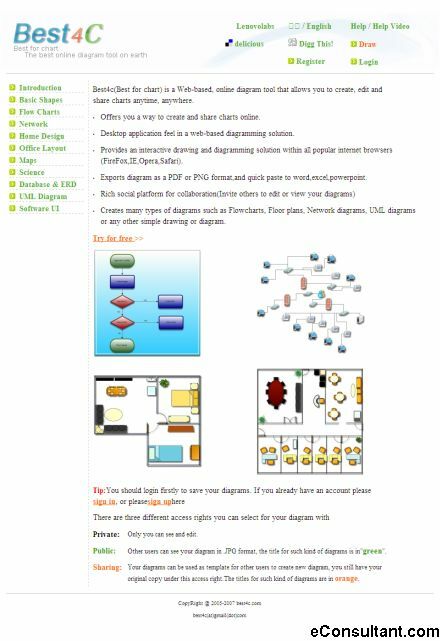 Create many types of diagrams such as: Flowcharts, Floor plans, Network diagrams, or any other simple drawing or diagram.